Design your own calendars. Calendar math tricks. Important dates in history. Online calculators to help with advanced math topics. Large kids’ math sites with sections by grade level. Build your own clocks and sundials. Learn clock arithmetic. 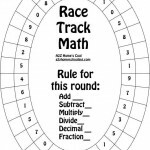 Fun links for learning and practicing math skills for primary and intermediate students. Run a lemonade stand, learn to make change, or invest your hard earned money. Tips and tricks to make memorizing the tables easy. Basic math skills for little children. Fun ways to learn to tell time. Learn and practice word problems K-8. If you’d rather be doing art than math, come make beautiful designs using math concepts. Learn to make your own charts and graphs. Free downloads and data links to use. Logic puzzles and games online. For those struggling with higher math concepts and need some help with homework. Geometry for kids through real life lessons: build a bookcase, play games, make patterns using a protractor and compass. Software and geometry books available. Trig uses the properties of triangles to solve advanced math problems. Online help to make learning calculus easy.